In a crowded market for insurance advice, the ability to bring a portfolio of LTC solutions to the table also serves as a competitive differentiator. One client has a six-figure chunk of “just-in-case” money languishing in a low-rate savings account. Another is seeking a good home for a sizable required minimum distribution (RMD) that they soon must take from a qualified retirement account. A third has assets residing in a non-qualified annuity that might be more suitably deployed in another, more versatile product. All three have something in common: a retirement plan that begs for some form of protection against the risk of a financially devastating long-term care (LTC) or health care event. 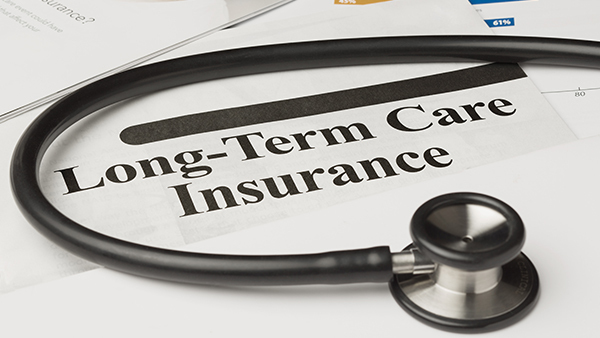 As their financial professional, you’re tasked with scouring a lengthy list of long-term care insurance (LTCi) products from multiple carriers, then cobbling together possible solutions using a range of disparate and unfamiliar products with which you’re not entirely comfortable. Wouldn’t it simplify matters if instead you could address the spectrum of client long-term care needs with a single suite of products that use the familiar constructs of life insurance and annuities to deliver LTC benefits? Financial professionals who find themselves struggling to mix and match traditional LTCi solutions that aren’t always an ideal fit for their clients may be in a better position to serve a variety of client needs by arming themselves with a portfolio of asset-based LTC products. Asset-based long-term care products (also known as hybrid or combination products) are life insurance policies (such as whole life) or annuity contracts (such as a fixed indexed annuity) that come with a built-in long-term care benefit that allows the contract holder to access the death benefit or contract value to pay for qualifying LTC expenses on tax-free basis. If no such need arises, that money remains in the contract, to grow and eventually transfer to beneficiaries. “A financial professional who has this portfolio of products can address the long-term care needs of someone who’s in their 50s or someone who’s in their 80s, wherever they are in the planning cycle. That’s the value of a portfolio as opposed to just a single solution,” said Chris Coudret, CLU, ChFC, vice president & chief distribution officer for Care Solutions. • For clients who had been planning to pay for an LTC event out of their own pocket with cash stashed in a rainy-day fund like a savings account or CD, there are now asset-based life insurance+LTC and annuity+LTC products that leverage that money to purchase a larger pool of dollars to use for long-term care expenses. If they need care for an extended period, the pool of money in the asset-based policy is apt to last much longer than their rainy day fund would have. • For couples with an LTC coverage need, asset-based life insurance+LTC and annuity+LTC products are available with a single pool of LTC benefits from one policy, payable with a single premium. Such a joint policy can provide a monthly LTC benefit, free of income taxes, to either or both of them should they need care. And if neither needs it, the death benefit eventually passes tax-free to beneficiaries. • For a client who has an LTC coverage need but who lacks the cash on hand to fund a single-premium policy, some asset-based LTC products spread premium payments over a period of time — for example, 10 or 20 years — with a guarantee the premium will never increase. • For a client with an LTC coverage need who wants the peace of mind that they can never exhaust LTC benefits, optional lifetime benefits can be attached to asset-based life insurance+LTC and annuity+LTC products for an additional cost. • For a client age 70.5 or over with an LTC coverage need who also is facing an RMD or other lump-sum distribution from a qualified retirement account and seeking an efficient way to leverage up the value of that money, a direct rollover from the retirement account into a single-premium life insurance+LTC policy can make sense as a way to manage income and tax exposure. • For a client with an LTC coverage need who has assets in a non-qualified annuity, that annuity contract can be converted via a 1035 exchange into a new non-qualified annuity that pays the premium on an asset-based life insurance+LTC policy. Such a maneuver could reduce potential future income tax consequences associated with the annuity. • For clients with an LTC coverage need who want a measure of the market’s upside to increase their money’s growth potential, fixed indexed annuity+LTC solutions link the interest potential of assets inside the contract to an equity market index (such as the S&P 500® Index), which allows the customer to take advantage of market gains in years where the index posts positive gains. In a crowded market for financial and insurance advice, the ability to bring a portfolio of LTC solutions to the table also serves as a competitive differentiator. Today, according to findings from a recent joint OneAmerica and LifeHealthPro.com survey, fewer than half of financial professionals — 48 percent — sell asset-based life insurance+LTC products and only 34 percent offer asset-based annuity+LTC products, compared to the almost two-thirds (64 percent) who offer traditional LTCi. Here’s an opportunity for financial professionals to deliver solutions many of their competitors don’t offer, while protecting their clients’ best interests in the process. OneAmerica is the marketing name for The State Life Insurance Company ® (State Life). Products and financial services issues and underwritten by State Life. Please note that the replacement of an existing life insurance or annuity must not be made unless all factors are weighed and it is documented as suitable for the client.